Kate Melino is a board-certified Psychiatric/Mental Health Nurse Practitioner, and received her Master of Science degree in Nursing from the University of California San Francisco. Having worked for more than a decade in mental health and substance use programs in both the U.S. and Canada, Kate’s experience runs across the spectrum of care: she has worked with clients in psychiatric emergency rooms, inpatient hospital units, and outpatient clinics; facilitated outreach and education through public health harm reduction programs; and engaged in advocacy work for increased access to treatment for substance abuse. Kate’s philosophy of care is patient-centered and integrative. She works actively with the client and the multidisciplinary team at GPS to co-create a plan to support clients in working towards their goals. 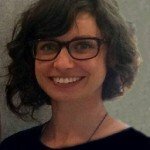 Kate draws on principles from harm reduction approaches, motivational interviewing, and patient empowerment in her work with clients, and provides psycho-education based on current research. She brings compassion, focus, and a collaborative spirit to her work with clients. Kate is a member of the American Psychiatric Nurses Association. She is also actively engaged in clinical research at the University of California, San Francisco’s School of Nursing.